We are big fans of Thanksgiving at Portraits that Move because it brings together our favorite things - family and gratitude (and food!). There is nothing like gathering together around a table to share stories and relish in the small moments that make our lives, especially our family lives, rich and memorable. But, as natural as it is to have conversations with our loved ones, the conversation doesn’t always flow naturally. Don’t worry. We’re here to help you get the conversation started and keep it going this year at your Thanksgiving table. Try these tips for a fun, stress-free Thanksgiving for families of all ages and sizes. Our conversation starters and Thanksgiving table games are guaranteed to bring joy to your table, and to teach you things about your family that you never knew. We all know the popular road trip game, where you work your way through the alphabet, guessing something that begins with each letter of the alphabet while the person who is “it” provides clues to the guessers. Customize this game for your Thanksgiving table. Take turns going clockwise around the table (or starting youngest to oldest). The first person who is “it” says “I’m grateful for something that begins with the letter A.” Each person around the table guesses what that is based on hints. This is a fun, easy, and interactive way to share what you are thankful for. It is also a natural way to start a conversation around gratitude, and to teach you what little things matter to your loved ones. Craft stick conversation starters are one of our favorites! 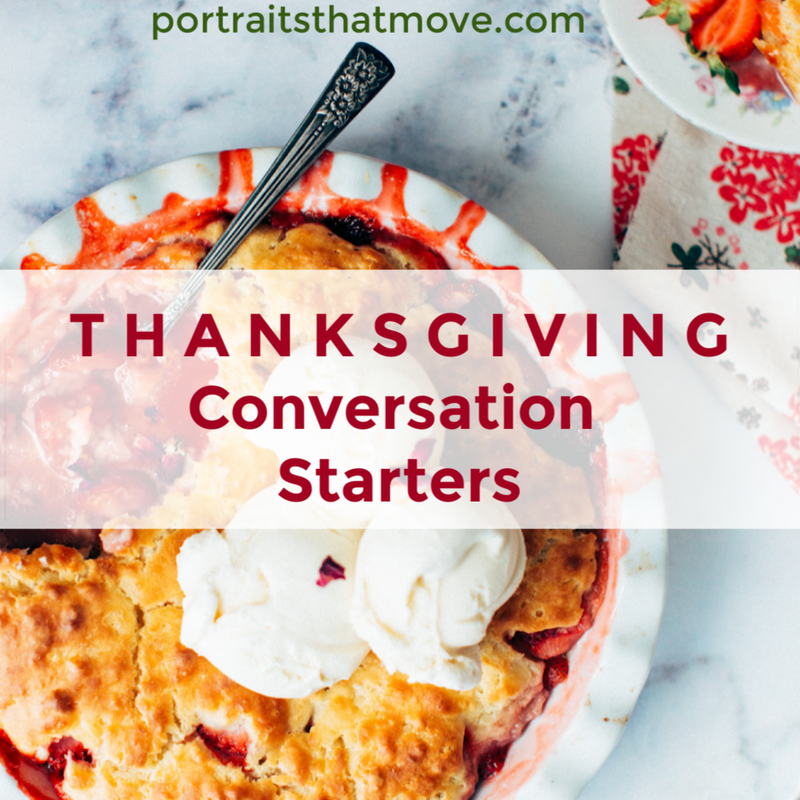 We have a complete DIY guide to creating these fun, reusable conversation starters that are perfect for Thanksgiving table games and throughout the year. See more suggestions and tips for creating your own craft stick conversation starters. For Thanksgiving, you can customize the colors, add festive stickers and coordinate your sticks to go with your table and decor themes. It’s a great way to get the kids involved in holiday prep and to keep their hands busy while you are finishing up your last minute cooking and decorating! After everyone is seated at the table, instruct them to put their place cards in a hat (or a pumpkin, cornucopia or Thanksgiving themed cup!). The person at the head of the table pulls out one name at a time and asks that person to name one of their favorite things. This is an easy way to learn more about each other. Favorites and follow-ups is a particularly good game if you have tweens and teens at your table who want to share but don’t always know how, and who sometimes feel too on the spot when they are barraged with questions. The key to getting kids to talk honestly and openly is to create space in which they feel comfortable, rather than exposed. Cheers to comfortable spaces, laughter around tables, and conversations that create memories well beyond the holiday.